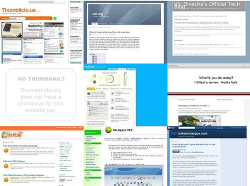 Social bookmarking is a way to share internet bookmarks with others. They work more or less like the bookmarks in a web browser, except you share them for others to see and use. Like standard web bookmarks, the social bookmark is only a link to the content, not the content itself. To create a social bookmark you create an account on a social bookmarking website, and start adding links to your profile. Usually, these social bookmarking sites will have a plugin for your web browser to make this easier to do. Social bookmarking for learning can be used in a setting where all the students subscribe to the teacher’s bookmarks and get all the links and references that the teacher adds. That way, everyone has the same links and online materials. Expanding on that, the students can make bookmarks of their own and share them with each other, creating a social bookmarking network. This network can be used to find many websites relating to the subject and can become a solid collection of information. By subscribing to each other, you can share interesting sites with each other and help each other catch useful web links that you might otherwise have missed. This can also be useful in an administrative fashion where if you find something that would be useful to someone else, you can social bookmark it. You can also add so-called "tags" to you links. With the tags, your bookmarks become easy to find both for you and the people you share it with as it’s possible to search for these tags, both on your own and others’ profiles. It is also possible to subscribe to other people’s bookmarks, allowing you to instantly see when they add a new link to their profile. You will need an internet connection and an account on at least one social bookmarking website. This example is developed in relation to the two EU projects COMBLE (https://www.comble-project.eu/).